Lord Sri Jagannath is being worshiped on sixty four names in entire Odisha. Though Lord Sri Jagannath is being worshiped as unitary idol at places, but he is famous as the name Sri Patitapaban, Sri Dadhibaman, & Sri Madhab. Accordingly Sri Jagannath, Devi Subhadra & Lord Balabhadra are being worshiped as three fold idols and their name famous as Trutiya Dev or Trimurty Dev. Sri Jagannath is also being worshiped as Madhab at different places. At places he is being worshiped as Madhab through Narayan idol and at places Sri Jagannath idol is being worshiped as Madhab. In Sri Mandir at Puri on Ratna Bedi single Jagannath idol is worshiped as Madhab along with four fold idols such as Lord Balabhadra, goddess Subhadra & Sri Jagannath. There are difference in the name of Madhab, such as Sri Sunya Madhab, Neela Madhab etc. Both the Madhab cult & Sri Patitapaban cult are annexed with Jagannathism. The Balavadra cult has been equalized with Jagannathism. Ananta cult is annexed with it afterwords. Hence Sri Balavara is being worshiped at different places in Odisha along with Sri Jagannath. Sri Balavadra is famous for his different names as different places namely, Sri Balabihari, Sri Hari Baladev Jew, Atala Baladev jew & Sri Sidha Baladev etc. Though Sri Balaram is different from Balavadra cult, but in Odisha both are annexed with Sri Jagannath cult. In Odisha at different places Sri Balaram, Sri sidhabalaram, Sri Krushna Balaram is being worshipped in temples, still Sri Jagannath are being worshiped at the same temple as four fold idols (Chaturdha Murty). Based on the worshipping method of Sri Balavadra in Sri Mandir at Puri, there are so many temples of Sri Balavadra. Sri Narayan cult is also included in Jagannathism. That is why, Sri Jagannath is being worshiped as Sri Biranchi Narayan, Sri Jagannayan & Sri Ballav Narayan. 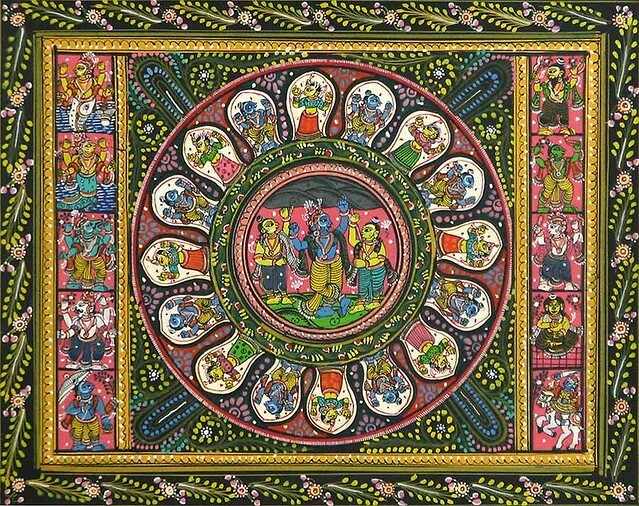 Sri Jagannath is also famous as Purusottam. At different places, Sri Jagannath is being worshipped as Sri Purusottam & Sri Prasan Purusottam. 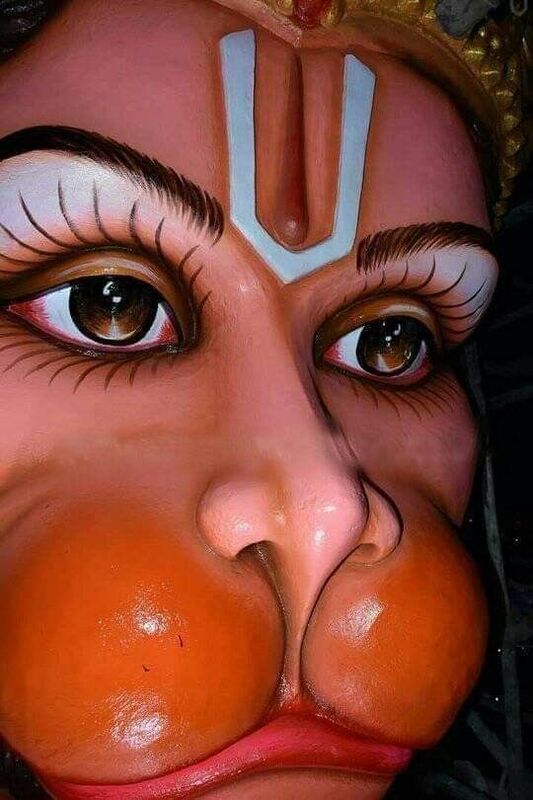 After inclusion of Gopal cult and Madan Mohan cult in Jagannathism, Sri Jagannath is being worshipped as Sri Madan Mohan, SriRadha Madan Gopal, Sri Gopal jew Kunjabihari etc. The Kalkiism is also equalized with Jagannath cult as a result of which Sri Jagannath is being worshiped as Kalki Jagannath. 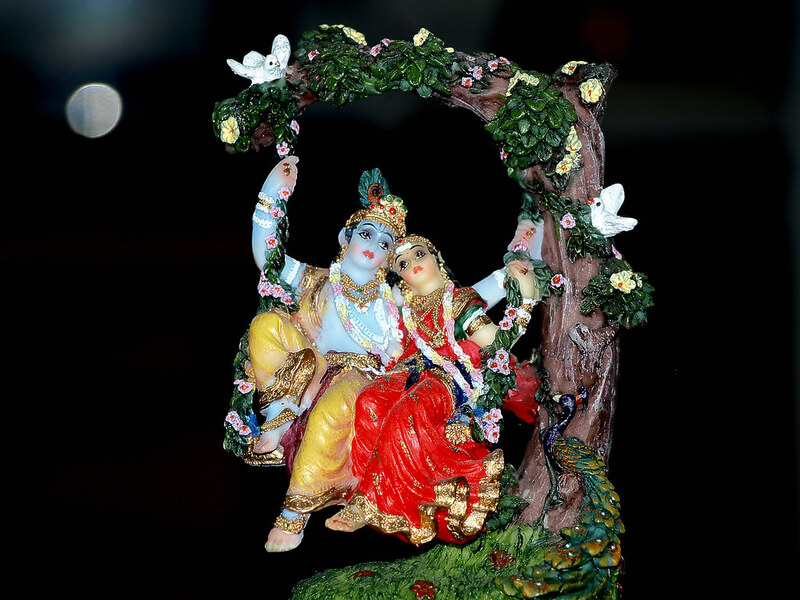 Sri Jagannath is also worshiped as Harihara as many places in Odisha. During the period of Lord Sri Chaitan, his five followers known as Pancha Sakha means five friends of Baishnavaism narrated Sri Jagannath as Antaryami. So Sri Jagannath is also being worshiped at places as Antarayami. Some times Sri Jagannath was excelled from Sri Mandir and established at different places and there he also being worshiped. Different temples were built for the deities. 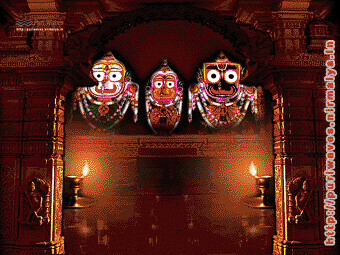 Sri Jagannath was being worshiped there as Sri Chakacharan Dev, Sri Rankanagth & Sri Sarada. Accordingly Sri Jagannath is being worshiped through out orissa over thirty districts in 64 sixty four n ames. The names at different places around Odisha are detailed below.